I have a roof leak that appears to be coming from the flashing around the chimney. Have leak in roof water is dripping down to bedroom/basement. "It was the best decision I've made for my home yet and I have been a home owner for over 20 years! They saved me thousands on my roof and it came with a 50 year warranty!" From day 1 until the job was complete, Built Right was professional, courteous, and efficient. One of the best companies I have ever experienced. Reasonably priced, say what they are going to do and everyone we came in contact with was professional. 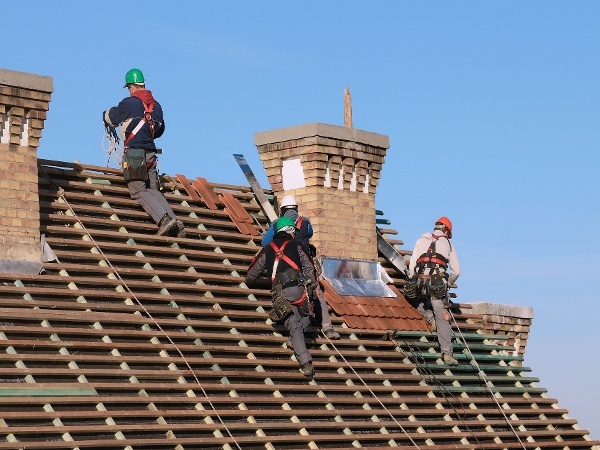 "I was solicited to replace my roof and was initially..."
Your roof is one of the most important components of your home, which is why it's imperative for you to hire a contractor that you can trust. If you've been having problems with your roof like leaks or missing shingles, Built Right Home Solutions is ready to answer the call. We provide high quality roof repair and replacement services throughout Meriden and the surrounding areas. No matter the the size or scope of the project, our team of professional roofers stand ready to provide you with the reassurance and expertise you need. We also provide expert storm, water, and fire disaster restoration services that are equipped to handle any issue. Since 2009, Built Right Home Solutions has been providing homeowners in the Meriden area with unmatched roofing and disaster restoration solutions. Above all else, our goal is to provide you with exceptional customer service and the best solution possible. All of our professionals are highly trained and work with the best materials the industry has to offer. If you're in need of any of our roofing or disaster restoration services, don't hesitate to contact the experts at Built Right Home Solutions today for a FREE quote! If your roof has leaks, wood rot, or undergone damage after a recent storm event, then it's imperative to get a contractor out to your home as soon as possible. Regular maintenance can go a long way towards preventing potential long term roof problems, which is why you should always have a roofing contractor that you know you can count on. Our roofers will complete a total inspection of your roof when called and evaluate all areas of your roof. Once all problems have been properly identified, we'll discuss options for repair and make sure you're totally on board before moving forward. Built Right Home Solutions is also proud to offer emergency roof repair services for when you need a quick and effective response after a natural disaster or freak accident. When your roof is too damaged beyond repair, trust Built Right Home Solutions to carry out a durable and effective roof replacement. We understand that a new roof can be a daunting prospect for any homeowner, which is why we work to keep all lines of communication open at all times. We'll treat your home with the care and dignity that it deserves, and make sure that we're leaving it better than it was before. We work with a variety of roofing materials in order to provide you with the best vision for your home possible. In addition to improving protection of your home, a new roof is a great way to boost your home's value and overall curb appeal. Ready to begin? Call or click today and get a FREE estimate on any of our services!